Recent research contends that the globalization-related problems organizations are facing are highly complex — especially for non-profits. 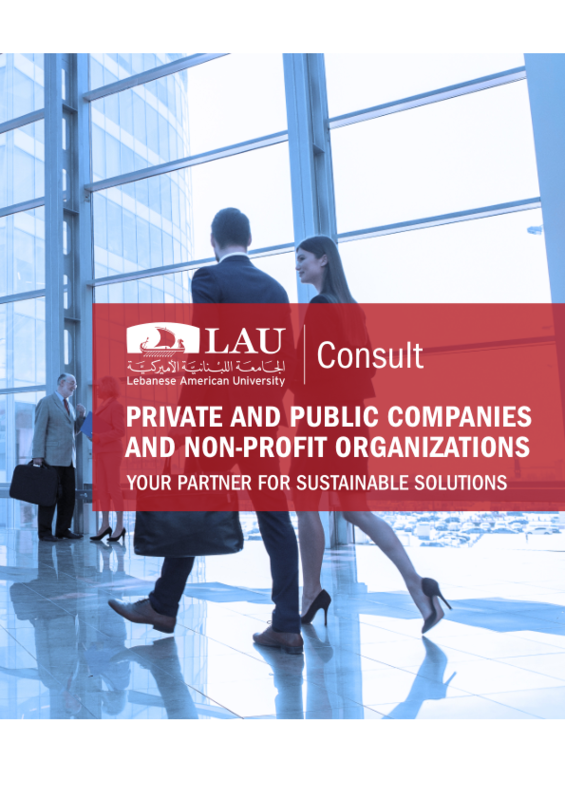 LAU Consult offers a wide range of services to local and international Non-Governmental Organizations (NGOs) to create a sort of safety net where private- and public-sector support has dwindled. In a world filled with development challenges that are reshaping daily realities, the nonprofit and non-governmental organizations have come to play a pivotal role. Based on the mantra of “Leaving No One Behind,” countries around the globe have come together as part of the United Nations 2030 Agenda and pledged to work toward realizing 17 Sustainable Development Goals (SDGs) that will help end poverty, protect our planet and ensure prosperity for all. Governments know that it is essential to involve local and international NGOs as main actors, and LAU Consult understands the importance of empowering this sector. At LAU Consult, we differentiate ourselves by partnering with NGOs, helping them develop their capacities to better serve their target groups. For both local and international NGOs, we conduct baseline and end-line studies and external evaluations. Additionally, for local NGOs, we support the implementation of needs-assessment surveys and targeted capacity-building interventions. Furthermore, realizing the increasing competition for scarce resources, we help our partners develop projects that are relevant to the needs of the target community, write proposals as per donor requirements, and fundraise. Our team comes from the field with practical experience, an understanding of the donor world, and an in-depth knowledge of key donor requirements. With this expertise, and driven by the belief in partnership with the public sector, we can customize our services to suit the varying needs of local and international NGOs.